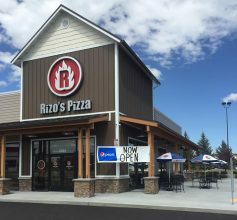 Rizo’s Pizza: Get a Personal Pizza for $3.99 OR a “Big Daddy” for $6.99! Cauliflower & Gluten-Free pizza that tastes great for just $2 more! $3.99 personal pizza or a Big Daddy for $6.99! Plus, if you purchase a fountain drink you can get a FREE cinna or garlic bread or upgrade to a small salad for $3! Must share the code phrase “Started Here” today only. *Valid 4/16.